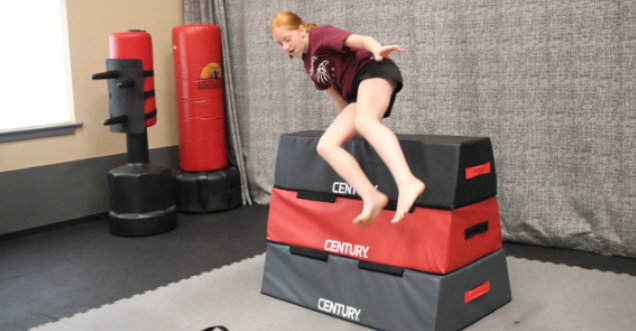 Click on the Buttons Below To Check Out Our Great Deals on our Parkour Ninja Obstacle Course! I was hesitant in joining Karate John’s Kickboxing program. I had been plagued with a medical condition that made exercising very challenging and painful. However, I decided to give it a try. Since joining kickboxing, not only do I feel great, I am relatively pain free and have experienced weight loss in very a short time. Matt Barnell, is an excellent instructor. His classes are challenging, and he is great at keeping you motivated. He has created a class where you can thrive at any fitness level and where you can count on each other for help or support. It is a great experience and I highly recommend joining to get in shape and have fun at the same time! I am new to the martial arts world. I chose a great place to start. The kickboxing program is not only fun, but challenging! I have learned so much in a short time and can't wait for more! The instructors are knowledgeable, helpful and so encouraging. Classes are small enough that you get the individual attention that is, at times, needed. There is a stripe program that is pushing me to the next level. I can't wait for more! Thanks! A lot of things we can do in our life martial arts at Karate Johns is one of the best decisions you can make. As a woman self defense it's something that just taking the "one time class" is fun with a friend. However, when you sign up and make it a part of your daily lives. Well imagine this confidence, better grades, happy, behavior, and much more. Taking martial arts as a family has enriched my family. A family that kicks together stays together and grow's together. Thank you Karate John! Keep it Kickin! !